Much has been written about the technology of training. The story-line is often the same: companies are champing at the bit for the opportunity to exercise the latest training technologies in an effort to reach employees effectively while reducing costs. This trend is understandable. Technology has made training much more convenient, an essential factor for global enterprises that need to train employees across the world. Instead of supersizing the travel budget to bring employees to the home office or other training center, technology can help trim their bottom line by pushing training out into the regional offices. But are their employees better trained as a result of this technological boom? With companies fast abandoning traditional instructor-lead training in favor of tech-based training, it is increasingly important to ensure that technology remains the training messenger rather than becoming the message. Regardless of whether a training system is a high-ticket technological wonder or a simple bound paper manual, the quality of the training results should be the same. Create “across the board” accountability for training results, from top management to every new hire. Enhance the ability of the trainer/supervisor to provide effective training. Technology can enable such results, but it can’t ensure their achievement. Technology can provide a platform for imparting knowledge, but it can’t distinguish between theory and practice. Technology can be used to measure quantitative retention, but it can’t evaluate qualitative application. These assurances, distinctions, and evaluations can only be provided by people. That’s the question that technology cannot answer: Are your employees actually learning from technology-based training programs? When the training is over and the employees are removed from the classroom — real or virtual — will they really be able to demonstrate that they understood what they learned, and apply their knowledge in practical real-world situations? In typical training scenarios, the trainer does 80% of the work. In many cases, the students aren’t expected to demonstrate application-based knowledge during the training event. While they might be able to pass a final written or computer test, they typically come away with a retention rate of only 10-30%. First, there must be an effective human intervention strategy. Second, accountability for results must be established. Third, there must be an instructional design that empowers trainees to take ownership of their learning. With these simple foundations in place, every company can experience superior learning results with the help of technology. A performance-based learning environment must have an effective Human Intervention Strategy to mold and monitor the learning experience. Such a strategy is the foundation of an effective training program.In order to keep the knowledge relevant and applicable, company-wide stakeholders must forge specific, relevant learning objectives out of the training fire and builds in comprehension and application from a knowledge-based platform. Appropriate methods for the delivery of the training. What resources are needed, and in what form are they needed to be effective -- paper-based or interactive media, for example. Whether to build or buy the required resources. Whether internal or external resources will be utilized, based on needed expertise. 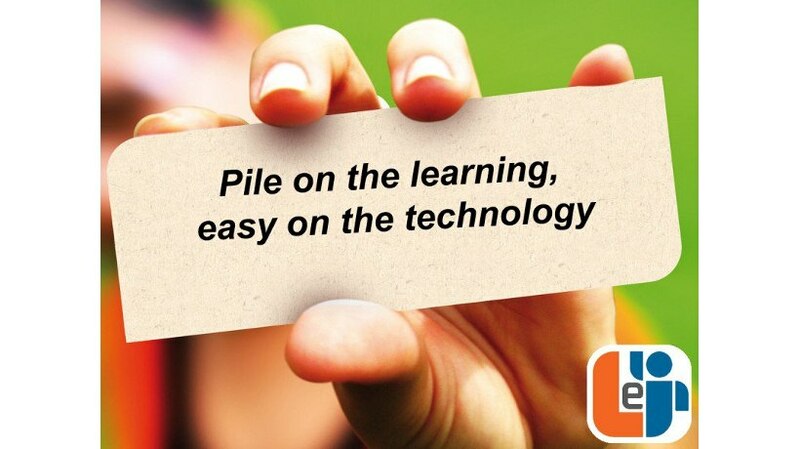 How all this information will be integrated into the technology used to deliver the learning. As a result, managers can better negotiate purchases of technology-based training programs and avoid spending money on features that bring little or no value to the established learning objectives. We believe that the real genius is not in building the materials; it’s in getting them used. Each year companies waste money on resources that are either not used, or are used improperly. If the answer to an effective training infrastructure rests with the human intervention strategy, then the answer to the issue of implementation is accountability. Lack of accountability in a training program will sink even the most expensive systems.Trainees have a responsibility to be prepared and willing to be trained. But the ultimate success or failure of a training program depends on management’s commitment to own the outcome. That kind of accountability can be assured by establishing the proper platform upon which the learning is orchestrated. Has the trainee learned what they needed to learn? Was the trainer actively involved in the learning process? Was management made aware of the quality of learning delivered? Technology can play an essential role in monitoring and tracking activities required by the performance system. But technology can become a crutch if we let it. If we rely on technology to do all the work, we’ll almost certainly have reduced training costs and perhaps increased training test scores. But will employees be able to discuss, explain, and most importantly, apply the knowledge they’ve learned once they have completed the learning experience?Corporate training programs will be well served by the technological advances. But at the same time, it is increasingly important to keep technology in check. By first establishing a clear human intervention strategy and by setting in place a platform with clearly defined roles of accountability, any training program can experience a dramatic increase in efficiency and effectiveness, and will ensure the money spent on technology delivers a satisfactory return on the investment. Frank W. Sarr, MAT is Owner/President of Training Implementation Services, founded in 1990 on the premise that the real genius is not in building training programs, but in getting them used. His approach to implementation has produced extraordinary training performances in the financial services, managed care and other industries for his client companies. Frank’s professional career has involved associations with Wilson Learning Corporation, Independent Financial Services, and CIGNA, where he was responsible for field training and management development for the National Sales Organization. Frank’s passion for the value of creating lasting learning experiences with “real-world” application is reflected in the book Performance Counts and Accountability Pays – Holding Learners Accountable in a Business Setting, which he co-authored with Dr. Tony Alessandra and Pamela Larson Truax. Frank’s website is www.performancecounts.com; you can view his profile on LinkedIn. To contact Frank or request his book, email frank.sarr@performancecounts.com.